Religious education at St. Brigid is directed toward enabling the student’s faith to become a living, conscious, and active part of their being. Students are helped to develop attitudes, values and behavior consistent with the faith we as a church profess. Our religious education program includes preparation of our Catholic second graders for their First Reconciliation and First Holy Communion. 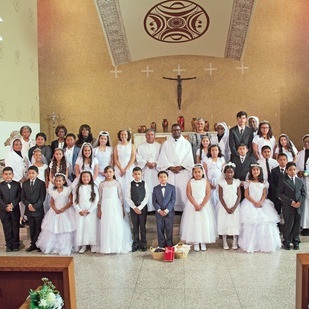 Older youth also work throughout the year in preparation for their Confirmation.